HURRICANE — A year after passing a vacation rental ordinance, the Hurricane City Council has finally decided how to implement the administration details, coming to a conclusion at a special work meeting Wednesday night. The discussion on short-term rentals in recent council meetings has gone back and forth with no decisive action, forcing the council to enact a moratorium the last three months while the ordinance is in limbo. The council said the ordinance regulations do not apply to new subdivisions specifically zoned to include vacation rentals. Currently, 12 vacation rentals are operating with legal licenses under the ordinance — seven of them in the Dixie Springs area. Planning Director Toni Foran said she receives three inquiries per week about vacation rentals in Dixie Springs. 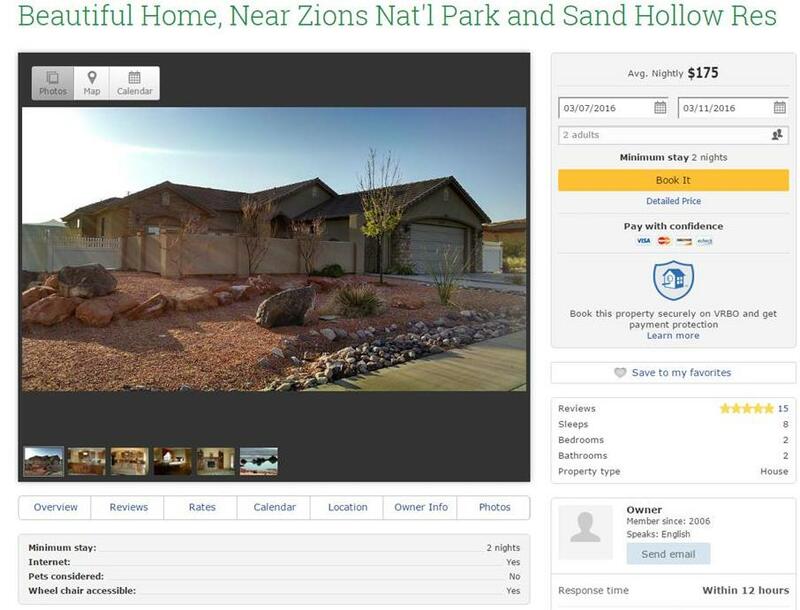 Much of the concern in the last year has been centered around vacation rentals in neighborhoods whose residents expect solely traditional single-family homes — a concern regularly voiced by City Manager Clark Fawcett. Fawcett said in the work meeting that the more rules put on vacation rentals, the more chance people will “poke” at them and, by allowing for vacation rentals, the city is doing something a lot of people don’t want. Councilman Darin Larson countered by saying there would be more enforcement issues without a vacation rental ordinance, to which Fawcett disagreed, saying that without the ordinance, the city could just shut down the illegal vacation rentals. Larson then told the story of a resident who was, at first, dead-set against a vacation rental operating near his home but, after a while, “reversed his thoughts” when he saw the rental was well taken care of. Fawcett said most vacation rentals do just fine but there are a few that become problems, citing one in particular in Dixie Springs that has had heavy ATV activity and become a nuisance. Larson said the city would have controversy over vacation rentals whether they are legal or not. The city is better off with an ordinance in place regulating them than without one, he said. Councilman Kevin Tervort sided with Larson, saying he prefers more enforcement rather than taking away a property owner’s right to turn their home into a short-term rental. City Councilwoman Pam Humphries asked why local motel owners aren’t concerned about the ordinance, to which Fawcett said more vacation rentals are going into operation across the country and motels aren’t complaining about it. Councilwoman Cheryl Reeve agreed that short-term rentals probably wouldn’t hurt Hurricane’s motels. The council decided on the rule requiring a potential vacation rental to be a traditional residence for one-year, whether occupied by the owner or as a long-term rental. This would protect the owner from liability; if a house was built specifically as a vacation rental, it would be a commercial building in a residential zone and would have to meet commercial standards instead of residential, the council said. 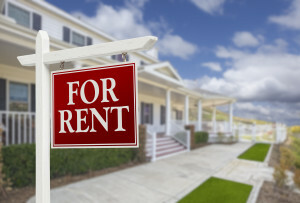 If a vacation rental is sold, the council decided to allow the new owner up to 45 days to apply for his or her own license, if he or she desires, to keep the property a short-term rental. The $300-$400 annual licensing fees are justifiable, according to the council, and would go towards hiring a part-time employee to keep tabs on the rentals and ensure they are in compliance with the ordinance. Several times during the meeting, the council referred to a “three strikes and you’re out” policy, meaning that any vacation rental that is in violation of the ordinance’s regulations three times would have its license revoked. 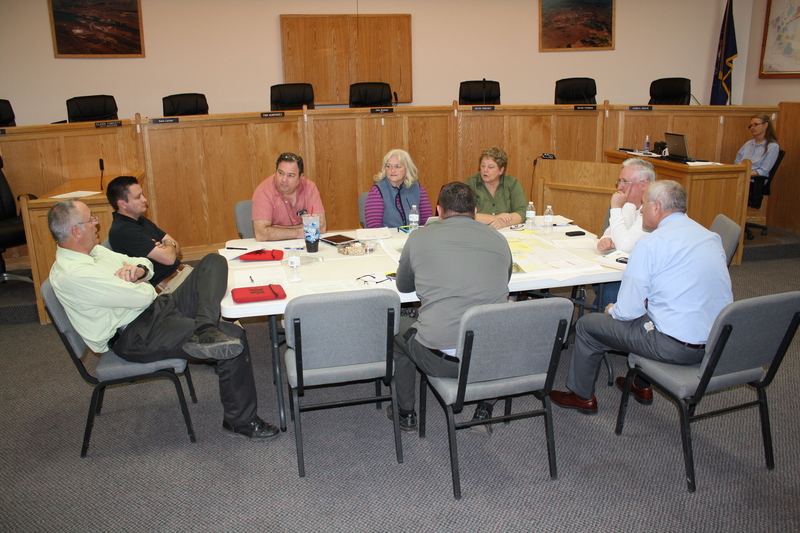 Property owners or residents might challenge aspects of the ordinance, the council said. Larson said no one can foresee all the issues that could come up. The council, however, seemed undeterred and is not letting what-ifs stop it from moving forward with the proposed changes to the ordinance. The tentative ordinance regulations discussed in the work meeting will not be approved in a regular city council meeting immediately, as the council will not have a full quorum for the next few meetings. As such, the council called for another 30-day moratorium on the ordinance. The changes to the ordinance the council decided upon do not have to go through the planning commission as they are a business licensing issue, Foran said. The council approved a board made up of Sean Reddish, Brandon Adams, Elizabeth Dansie, Mark Drawe, City Engineer Arthur LeBaron and Police Chief Lynn Excell to review event applications. The process will include scoring the events based on criteria such as local use of hotels and restaurants, the organization of the event, the growth of the event and other factors. The board will coordinate with city staff for events that require city resources such as the Easter Car Show. The council asked Sara Nay and Barbara Nish to work with Sherry Wilcox, other gardeners, and Ashlee Diamond, the agriculture teacher at Hurricane High School, to help organize the new community garden. The garden is on a lot in the city-owned Pecan Meadows Subdivision, across Gould’s Wash from the current site of the community garden. Items such as the the raised beds provided by an FFA grant will be moved to the new location. Mayor Bramall offered equipment and help to prepare the new site.